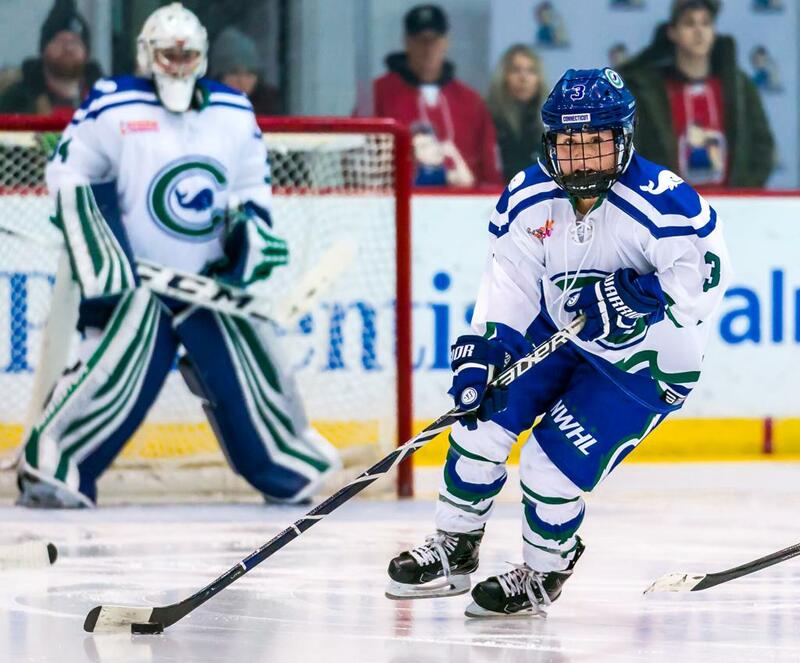 August 14, 2018– In a significant acquisition for the Minnesota Whitecaps in their first season in the NWHL, the club has signed defender Amanda Boulier, who was a league all-star in 2017-18 as a rookie with the Connecticut Whale. “I am thrilled to be joining the Minnesota Whitecaps for their inaugural season in the NWHL,” said Boulier, who will attend graduate school and instruct young hockey players in Minnesota. Last season with the Whale, the Connecticut native had 3 goals and 5 assists for 8 points in 12 games. Her outstanding play earned Boulier selection to the 2018 NWHL All-Star Game held in Saint Paul, Minnesota. Collegiately, Boulier holds the St. Lawrence records for career goals and points by a defender. In 150 games (she was sidelined by injury in her junior year), Boulier was 28-76-104. She helped lead the team to three seasons of 19 or more wins, including an ECAC tournament championship and an NCAA quarterfinals appearance in 2012. The 5-1 defender earned awards as MVP and Best Defensive Player in her junior and senior years. The 5-1 defender played development hockey at Westminster and with the Connecticut Polar Bears, captaining both. She was also part of the U.S. U18 team that won the gold at the World Championship in Sweden in 2011.